There are few situations more complicated than several cars in a pile-up on the freeway or in an accident at an intersection. Multiple-car accidents happen for a number of reasons and often require lengthy investigations to find out who was at fault. This is complicated by the fact that no one is likely to accept responsibility for what happened, and everyone will probably blame someone else. A Salt Lake City multiple-vehicle accident lawyer will assist you throughout this process and ensure you have the opportunity to seek compensation from all responsible parties. Insurance settlements in multiple-vehicle accidents tend to be extremely high. As a result, the liability investigations are even more lengthy and detailed than usual. The insurance companies will employ accident investigators to find out who the at-fault drivers were, knowing they won’t likely admit responsibility freely. However, eventually the cause of the accident is bound to be discovered, and levels of fault will be assigned to the involved drivers. Once the at-fault drivers have been identified, you have the option to seek financial compensation from each of them. This is why multiple-vehicle accidents have such high potential for large settlements. You’ll want the sound legal advice of a Salt Lake City multiple vehicle accident lawyer to make certain you receive the most compensation possible. Just like regular accidents, multiple-vehicle accidents occur due to a variety of reasons. These include many of the same causes as two-car accidents, though the consequences of a multiple-vehicle accident can be more severe. Because several vehicles are involved, there will be multiple collisions—leading to excessive damage to the vehicles and possibly to the people driving them. This, in turn, leads to higher repair bills and medical expenses. As your Salt Lake City multiple-vehicle accident lawyers, it is important for us to determine exactly what caused the accident. This ensures we hold the correct people responsible for your injuries and expenses. If you have been involved in a complicated accident with multiple vehicles, you need a Salt Lake City multiple-vehicle accident lawyer to assist you. We would be happy to answer any questions you may have during a free consultation. 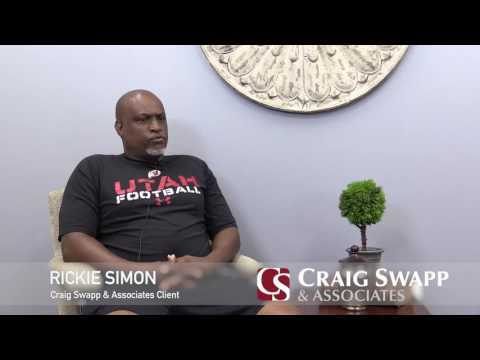 To discuss your case and your options in further detail, contact Craig Swapp & Associates by calling 1-800-404-9000 or by contacting us online through the form below.